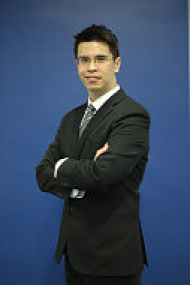 Muhd Amin is a highly sought after facilitator in Team Dynamics and personal development in the region. His engaging and humorous style of facilitation allows him to connect with his participants and helps them develop their skills in a comfortable setting and to attain personal and professional excellence in their lives. Amin has over 14 years experience facilitating and training people from various walks of life regionally. Having come from a mixed heritage background, he has faced many challenges personally and is able to use these experiences to connect individuals from various backgrounds into a cohesive team that is able to appreciate and understand each other’s diversity. His skills were honed when he first started out training under-performing and unmotivated youths from various racial backgrounds. His sincerity and dynamism allowed them to transform their lives and gain greater belief in their selves. This skill was then transferred into adult learning and became especially crucial when he successfully ran a team-building event for over 500 staff in an organization that was going through difficult times managing changes during a merger and acquisition. His experiences in social and community work with the Children’s Cancer Foundation, where he was awarded a Special Commendation, equip him with the extra edge to manage and counsel people from all walks of life with broader perspective. TetraMap remains a favourite tool for Amin in understanding preferences in individuals in spite of him being a certified facilitator in other tools. Having been certified since 2011, Amin has used TetraMap in facilitating and allowing his clients to develop stronger teams. The concise nature of TetraMap profiles not only allows his clients to understand individuals better but also celebrate the diversity that exists within the team. The focus on activities and contextualisation allows conversations to take place within the workshops itself thus allowing them to build the foundations of team relations immediately. DIVERSITY: Different Individuals Valuing Each other Regardless of Skin, Intellect, or Years.